One of the amazing things about diving in to family history research is discovering how often family members get mentioned in old newspaper articles. Back in the days before the internet....heck! before the telephone!...newspapers reported everything about everyone! Small town publications, in particular, covered local news in great depth. Vital statistics like births, deaths and marriages were routinely reported. So were events like a new store opening, a job promotion, a noteworthy society party, a community picnic, a local ball game, or some darker family moments -- a barroom brawl, an arrest for public drunkenness, or even a murder or two somewhere deep in the family closet. Happily, there are tons of online newspaper archives where you can poke around and find out what great-grandma and grandpa were up to back in the day. The US has done an especially impressive drop of moving historical archives online, but there are also sources in pretty much every corner of the globe, and in many different languages. 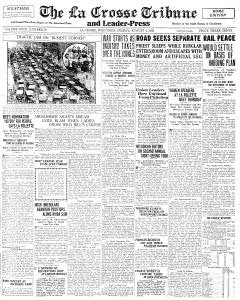 NewspaperArchive.com and Newspapers.com both have wonderful and deep collections of historical newspapers with easy and powerful search tools to help find family members from long ago. These are both subscription services, but they offer free trials and worth a visit, even if you aren't inclined to subscribe (I subscribe to both, by the way...I think they're essential). Another XooxleAnswers page covers international newspaper archives from Europe, Africa, Asia, North and South America, some in English and some in other languages. There are also pages of special collections, such as college newspaper archives, and free magazine archives. Also check out online state archives. Almost all state collections have at least a smattering of news articles, and many of them offer deep newspaper archive collections that won't be found elsewhere. No matter where your ancestors hailed from, and where they travelled to, there are hundreds of free newspaper archives available where you can search for their stories at no charge.